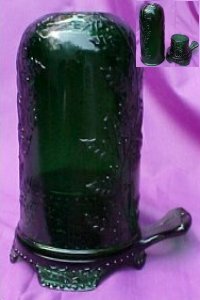 From common to elegant glass items. Here we have Mosser, Gibson, Boyd, Fenton, And other assorted glass types. 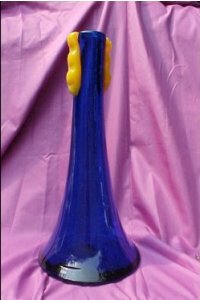 Coblolt Style Blue fluted vase. 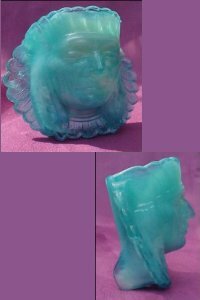 The above deep green item is a Mosser piece and is called a Fairie Lamp This is made to be used with a votive style candle and when lit is absolutely beautiful.